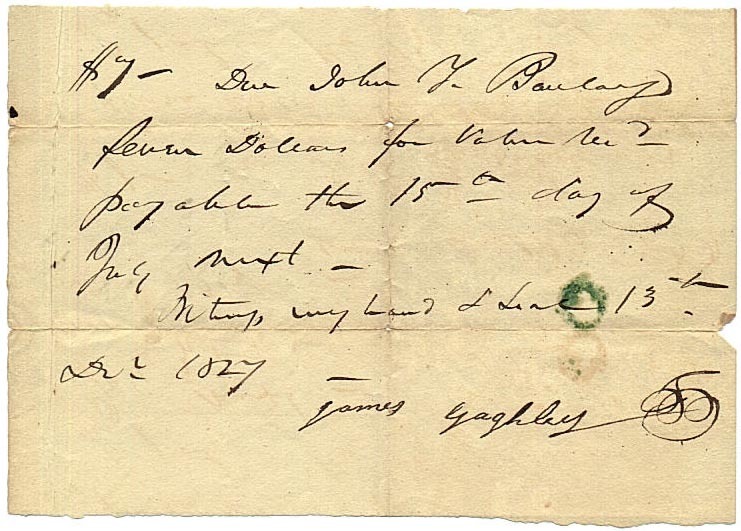 This IOU was written in 1827. James was in his mid-70s. It is obvious the person that signed the IOU was not the same person that wrote the text of the IOU. Note the difference in the capital "J" of John at the top of the IOU compared to the "J" of James' signature. What does the mark to the right of James' signature mean? Did someone else sign for James? Did James just put his mark on the IOU? Does anyone have any knowledge whether James could read and write the English language?